I believe there is a system to job searching and there aren’t too many short cuts around it. Essentially it’s this: you apply, you network, you interview, you get an offer. The tricky thing here is that this process doesn’t follow the formula of “you do this, so you get this” like we all want. At each of these stages there is a big drop off. 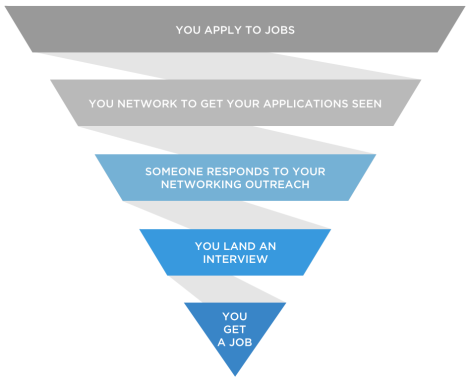 So before we dive in to each step, the thing to realize here is that you have to feed the top of the funnel quite a bit to get to the bottom, which means if you want to land a job, you’ll need to be applying to them constantly. 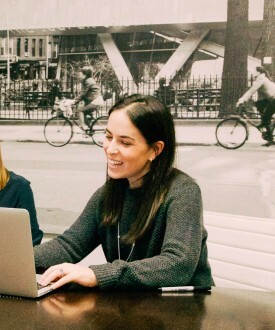 The other important thing to know is that the job search process is a lot like dating. It doesn’t matter if you go on 100 first dates (aka: interviews) and find “the one” or 1 first date and find “the one”. So don’t worry if every application doesn’t turn into a job interview… it only takes one. While submitting quite a few apps is important, I always encourage quality over quantity. The goal is to make each one really, really count vs. the “throwing spaghetti at the wall / seeing what sticks approach”. you feel strongly about working for that company. If the well runs dry, you can loosen these parameters, but in a perfect world every job you apply to should those 3 things. 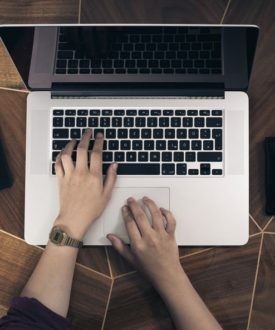 A quality application also means you took the time to customize your cover letter (if one was requested) using these guidelines. Like I’ve said before, I don’t consider a job application complete unless you’ve sent a networking email to someone out there (whether you know them or not) expressing your interest and why you’d be a perfect fit for the role. Networking effectively will increase your response rate to applications significantly. Many people are comfortable doing this if they have a contact at the company, but this won’t be the case for every job you apply for… and that does not mean you shouldn’t network! Try to find something (or someone!) in common with a person who works at the company you applied for. One great route is finding alums from your university. Another route would be if you have a friend in common (you can see this on LinkedIn). Even if you don’t find any common ground, you can still send a cold email. More on this here and here. One other thing about networking… while starting your search by finding open jobs and applying is a good step, you can also start with your network. Make a list of people who might be able to help you out and reach out to them to have informational interviews. That way, you can establish connections with companies proactively and will be ready to reach back out when the right job opens. This is such a KEY step in the process. If you get called in to interview for a specific job you applied for it means the person on the other end is hoping you are the one! Trust me that they don’t want to spend 10 more hours scheduling and interviewing others – they want you to be the candidate to end the process! So when you get an interview, take the preparation process really, really seriously. What you bring to the table during that 30 minutes or hour, can seal your fate one way or the other. I have a ton of resources on The Prepary about interview prep – I suggest checking out this archive on how to answer the most common questions and my interview prep worksheets. The steps outlined here are simple, but it’s the nuances and the extra effort within each of them that make the difference and will enable you to be successful in your search.